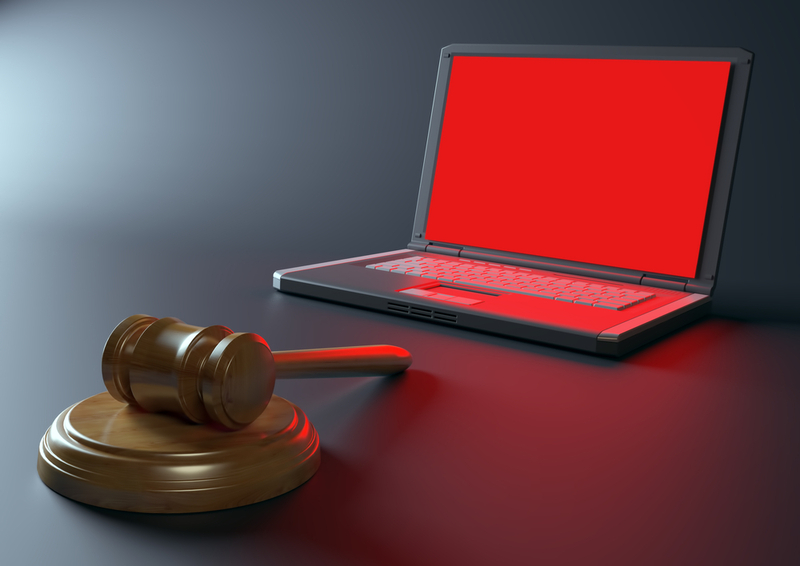 The US Department of Justice wants to make it a federal crime to violate the “terms of service” of any website, reports Declan McCullagh at CNet. According to this interpretation, breaching the terms of service of websites — which can be done by simply using a fake name on Facebook, lying about your weight on a dating site, or using Google if you’re under the age of 18 — could make you a criminal. According to Downing, the expansion of this law is necessary for law enforcement to prosecute individuals for identity theft, privacy invasion or the misuse of government databases, among other infractions. Limiting “prosecutions based upon a violation of terms of service… would make it difficult or impossible to deter and address serious insider threats through prosecution,” Downing is expected to say. Just to reiterate, in case you didn’t catch that sly turn of legalese, the DoJ is saying that not allowing them to prosecute people for violating websites’ terms of service would make it “more difficult or impossible” to scare people with the threat of prosecution. Yay, America! Of course, if the DoJ is permitted to act upon the CFAA in the way they want, a vast number of Internet users would be in violation of federal law, especially because almost nobody even reads terms of service, let alone follows them to the letter. Fortunately, some very smart and authoritative people will be present to argue this very fact. For example, Kerr explains that Google’s terms of service stipulate that if ““you are not of legal age to form a binding contract with Google,” you are forbidden from using any of its sites or services. Seeing as the legal age of contract in most states is 18, “a 17-year-old who conducts a Google search in the course of researching a term paper has likely violated Google’s Terms of Service. According to the Justice Department’s interpretation of the statute, he or she is a criminal,” writes Kerr. The same goes for someone who uses a fake name in their Facebook profile, or sheds a few pounds in their Match.com description — both of which are forbidden by those sites’ terms of service. Kerr’s full testimony is well worth the read (view it here: pdf) — a sentiment we hope Congress will agree with enough to reject the DoJ’s efforts to impose a Draconian interpretation of the CFAA on the American public.